Founded in 1965, The Latin Chamber of Commerce of the United States, CAMACOL is the largest Hispanic business organization in the State of Florida and one of the most influential minority business groups in the United States. For five decades, CAMACOL’s mission is to foster the entrepreneurial spirit of Florida’s Hispanic and minority communities, and as such, it conducts programs to strengthen local business activity, promote economic development, facilitate international commerce, and serve the civic needs of the community and state. Through its Hemispheric Congress, its flagship program, CAMACOL has provided businesses with the opportunity of establishing commercial linkages in the domestic and international marketplace for more than three decades. 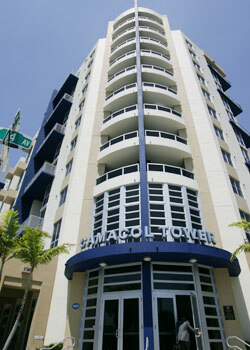 As such, through its Hemispheric Congress, whose mission is to link businesses throughout the globe, promote Miami Dade County and the State of Florida as the Gateway State, CAMACOL has provided the business community with the opportunity of establishing commercial linkages in the international marketplace. CAMACOL works with our community leaders and partners on local, statewide and national and international level to ensure that our economy recovers and grows. Our programs focus on fostering job creation, retention and development. In essence CAMACOL’s mission as an economic developer is to develop and strengthen the small and minority business sectors and to facilitate activities that foster economic growth and jobs.